I really enjoyed this book. I have a lot of interest in Scottish history because of William Wallace and Rob Roy so any chance I get to read a book with Scottish characters and set in Scotland is wonderful. Set in 18th century Scotland, with settings in England and the American colonies as well, Sound of the Heart is an exciting historical tale with two extraordinary characters, Dougal and Glenna. I'm not usually big on romance in novels, but the relationship between the two main characters is so sweet and genuine, I couldn't help but enjoy reading about their times together. Graham has taken one of the difficult periods in Scottish history, the time of the Jacobite rebellion, and turned it into a story of personal triumph and love. She has written the dialogue in Scottish brogue, which I thoroughly enjoyed. 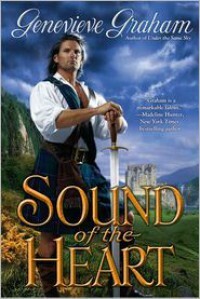 I likened myself to a Scottish lassie as I experienced the Scottish intonations in my head.I highly recommend Sound of the Heart to anyone who enjoys Scottish history with a bit of romance added to the mix. Now I must check out Graham's first novel, Under the Same Sky. 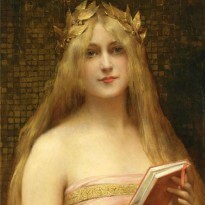 She is a talent I will not soon forget.